Bernard “Bernie” J. Reddy, 83, of Alpena passed away Sunday, January 27, 2019 at Sally’s Care Home. Bernard Junior Reddy was born in Owosso on April 8, 1935 to the late Bernard and Dorothy (Dean) Reddy. On August 30, 1958 he married Kathleen Patzer of Rogers City at St. John Lutheran Church in Rogers City. They lived and raised their family in Flint, where he was active in the Genesee County Federation of the Blind. He was an avid bowler and loved fishing. Many vacations were spent up north fishing and visiting family. Bernie was also involved in the Boy Scouts of America as an Assistant Scout Master. Bernie retired from General Motors after 36 years of service. He and Kathy moved to the Alpena area to enjoy retirement and family. Bernie was a member of Immanuel Lutheran Church in Alpena. Surviving are his two children, William (Candy) Reddy of Suffolk, VA, Denise (Paul) Mann of Three Oaks, MI; 5 grandchildren, Tanya (Charles), Tiffany (Anthony), Tony (Alexandria), Jennifer, Jacob; 7 great-grandchildren; sister, Beverly (Larry) Natzel, and a brother, Daniel Reddy. Mr. Reddy was preceded in death by his wife, Kathy and their son Robert. 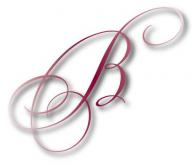 Cremation arrangements have been handled by the Bannan Funeral Home. A private graveside service will take place at Pilgrims Rest Cemetery in the spring.